(#13) My 13th Thursday Thirteen! When I’m not writing this blog or writing my books, I’m a web site designer. So, I have a particular interest in art, and also in the cover art of the books I read. 13. 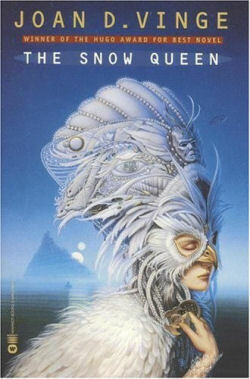 The uncredited artist(s) who created the Luna books Catherine Asaro covers for THE CHARMED SPHERE, THE DAWN STAR, THE MISTED CLIFFS and THE FIRE OPAL. We have the same tastes, and we collect beauties like the one you chose for this post in trading card form! Many of this type of artist created trading card sets in the early nineties. I’ve seen the trading card set for Thomas Canty, just the other day actually, and I’ve decided that I must have it. I haven’t seen one for the Dillons. Where can I get it? Hook me up! Neat. I’ve bookmarked your TT to check out the artists later. Happy TT. Oh! I love Thomas Canty!! Those awesome covers were what drew me in to Terri Windling’s fairy tale series in the late 80s/early 90s. I’ll have to keep an eye out for the trading cards. And I’ve got several Dillon covers, and didn’t even know it. 🙂 I recognized Dangerous Visions and Beowulf, and the style is so familiar I’m pretty sure I have some others, too. Mackintosh and Morris were both HUGE in the neighborhood I used to live in, which had a lot of houses with Arts & Crafts influences. There were lots of Mackintosh-inspired doormats and Morris wallpaper and fabrics. I really miss that neighborhood. Glad to find some new writers to try.